I live in Mexico and rarely eat tacos. She bit into her drunken fish for extra emphasis. Her point is well-taken. In Mexico, every day is “Taco Tuesday.” Tacos are as Mexican as Frida Kahlo, whose face is everywhere here, including the 500-peso bill. They are sold as street food in rickety carts and in the fanciest Michelin-star restaurants. 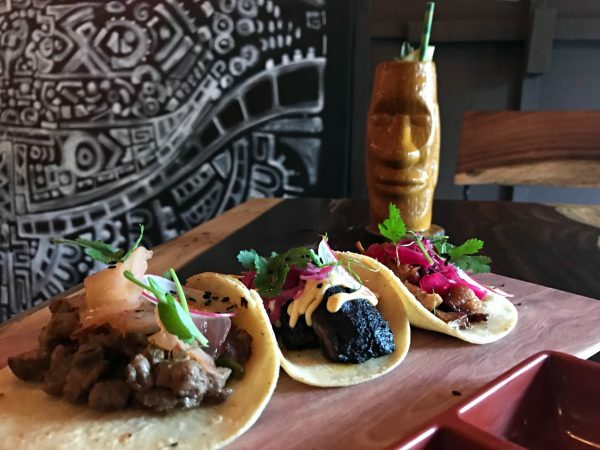 Depending on the area of Mexico you are in, you can find tacos with an array of fillings such as chicken, arrachera steak, pork, shrimp, and tuna. There is even a growing Mexican vegan movement in which avocado replaces the meat as a taco filling. My favorite taco is Thai Chicken, served at my friend Jennifer’s Turtle Bay Cafe & Bakery in Akumal, a small beach community located about an hour and a half south of Cancun. At Turtle Bay, the chicken is marinated in peanut sauce and served on a homemade corn tortilla with aioli and sesame coleslaw. Nevertheless, tacos jumped the shark for me with octopus fillings. 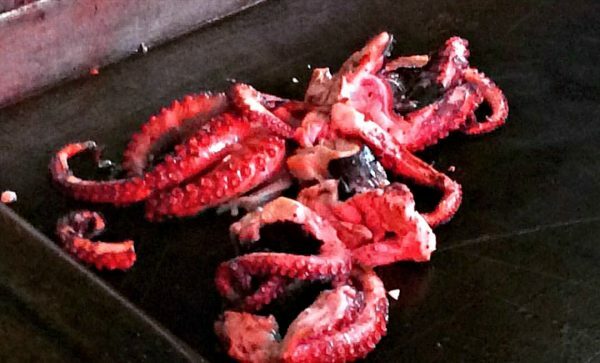 At Mateo’s Mexican Grill, a well-known restaurant on Tulum’s Beach Road, the chef makes a great show of it by dangling the octopus in the air and tossing it into the fire with flourish. But I could never get over the gummy taste or the fact that the octopus was just squirming in the air minutes before. Mexico is currently experiencing an interesting gastronomic moment. A new generation of Mexican chefs, trained in the United States and Europe, are returning home to reclaim traditional Mexican cuisine. For some chefs, this means applying modern cooking techniques to traditional recipes. Using kitchen appliances, for example, eases labor and shortens the time it takes to make a tortilla. Traditional tortilla makers used to spend hours boiling dried corn, grinding it on a ground stone slab to make dough for tortillas and then cooking them individually on a griddle. Sauces were ground using a stone mortar and pestle. Now they use blenders. Other Mexican chefs are expanding the definition of their country’s food beyond its meat and cheese-heavy stereotype, which is characteristic of northern Mexican cuisine. 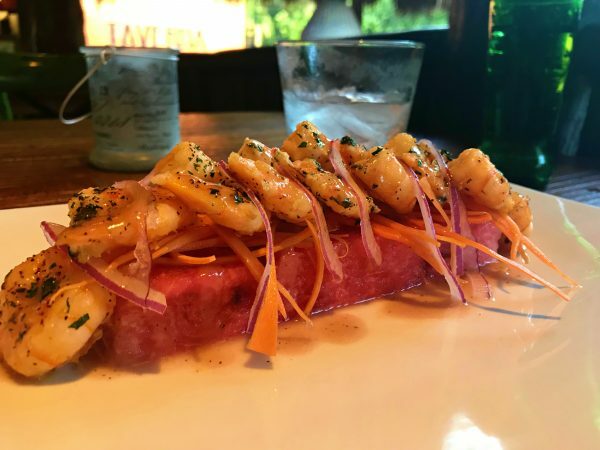 Chefs like Javier Ornelas, who owns a hotel and catering business in Tulum, experiments with recipes and ingredients to come up with innovative food fusions. For example, he recently catered a wedding in which he served a twist on canapes, a puff pastry hors d’oeuvre. 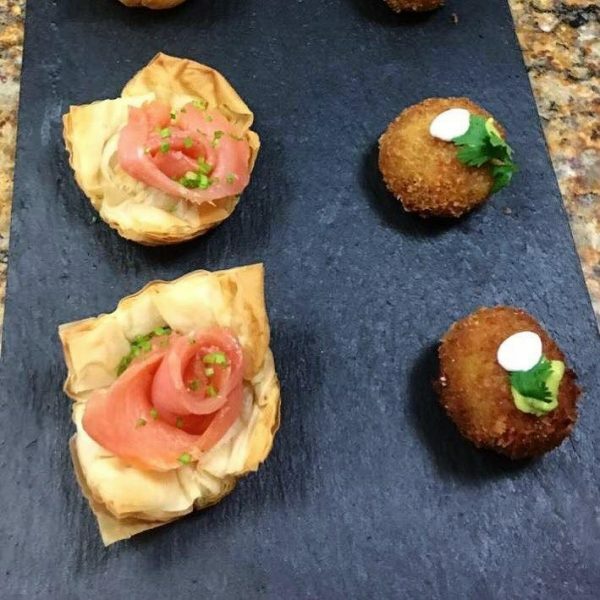 Ornelas’ versions included smoked salmon with phyllo (a dough used for Mediterranean pastries) flowers and plantain croquets stuffed with black beans, chorizo (sausage), and Oaxacan cheese. Mexico is also becoming a haven for celebrity, established, and consulting chefs from other countries who are drawn to the relative ease of living, cosmopolitan atmosphere, business opportunities, and creative cooking environment. Chefs like Dim Geefay, the consulting chef at Mezzanine, a restaurant and boutique hotel in Tulum, has adapted local ingredients to Thai recipes she learned in her mother’s kitchen. Creative adaptation requires encouraging the kitchen’s mostly Mayan staff to see local ingredients in new ways, persuading area food suppliers to harvest produce differently, and substituting hard-to-get ingredients. 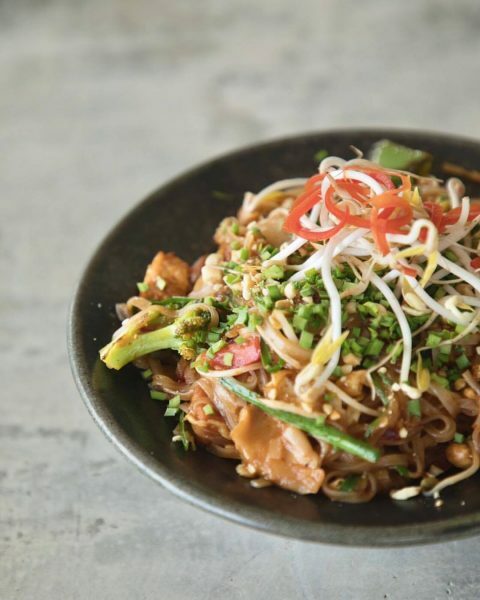 Geefay, for example, swapped fish sauce used in traditional Thai dishes for tamarind sauce and uses piloncillo, a raw form of dehydrated sugar cane, instead of coconut sugar for Mezzanine’s popular Pad Thai. “I try to balance it so that people will still have an authentic Thai experience, but using as many local ingredients as we can,” Geefay said. Mexican cuisine is so much more than tacos and tequila. Each region has its specialty dishes and influences. I live in the Riviera Maya, which encompasses 60 miles of coastline and is bookended by the Caribbean and tropical jungle. Traditional food is Mayan and influenced by the Caribbean, Central Mexican (because people from that region come to work here), European (especially French), and Middle-Eastern. 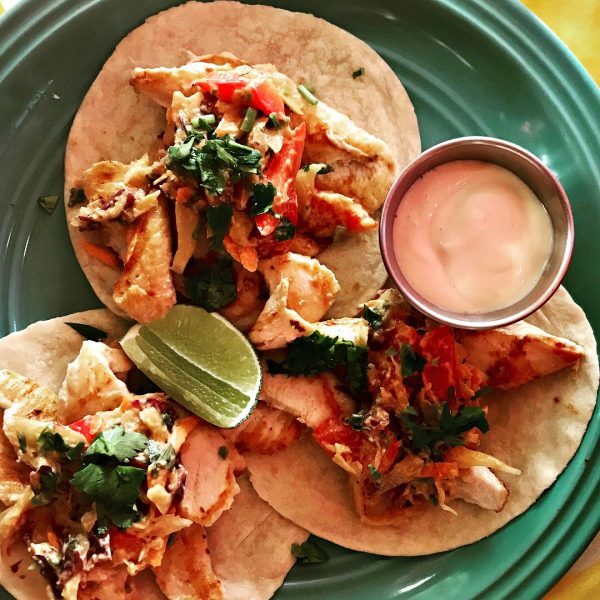 While tacos are certainly a staple dish, here are a few other local flavors to try instead. Cochinita Pibil — “Cochinita” means “baby pig.” True cochinita pibil is made with suckling pig. But most modern recipes use pork shoulder or pork loin as a substitute. Juice from bitter oranges, lemons, and limes marinate the meat. “Pibil” refers to the cooking method of wrapping the meat in banana lives and cooked in a pit oven. Traditionally, cochinita pibil was buried in a pit with a fire at the bottom to roast it. Achiote gives the dish its characteristic orange-reddish color and adds to the flavor. Cochinita pibil is enjoyed with corn tortillas, red pickled onions, refried black beans, and habanero chiles. And if you still can’t shake your taco craving, cochinita pibil is also used as a taco filling. Sopa de Lima – Sopa de lima is considered one of the most representative soups of the Yucatan, which is a region on the east coast of Mexico. Lime is not the main ingredient, but it gives the soup its flavor. The dish is usually made with chicken, tomato, red pepper, cilantro, and tortilla chips. Sometimes, the chicken is substituted for pork or beef. While sopa de lima is a Mayan dish that dates back thousands of years, its current form was first created in 1946 by a cooking master known as Katún,, which means “warrior” in Mayan language. Salads – Summer in the Riviera Maya brings out something verdant in the landscape and hearts of the chefs here. It’s like the abundance and natural beauty of the lush jungle must be reflected on our plates. Bits of mango, for example, add a sliver of sweetness to the quinoa salad. Watermelon anchors a salad served with shrimp, arugula, red onions, carrots, and an in-house vinaigrette. If you ever visit the Riviera Maya, I’d love to share my favorite restaurants and dishes with you. Just don’t expect me to eat tacos.